These pirate accessories are worth their wait in gold! 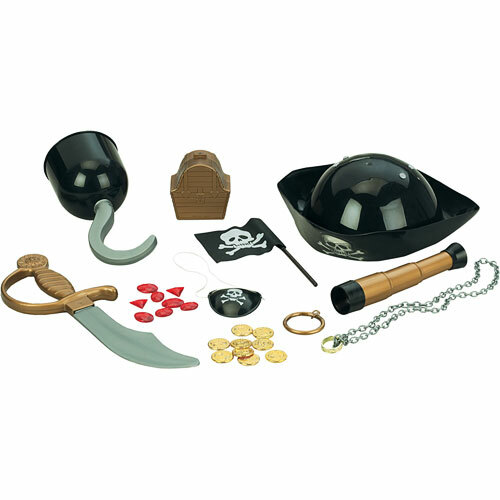 Includes everything from hook to jewels in one complete set: adjustable pirate hat, telescope, necklace, 2 rings, flag, hook, treasure chest, sword, eye patch, earring, coins and 12 jewels. 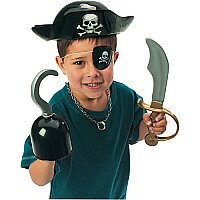 Great for imaginative play - or even Halloween. Measures approximately: 11.00 x 4.25 x 22.00 inches..